I recently completed a large project for one of my clients, a book cover design and complete layout of the inner pages. They are happy with it and I am pleased with how it turned out. I really enjoyed working on it! The client had the initial title and content and then we brainstormed to come up with a concept for the cover that was interesting and related to the theme of the book. 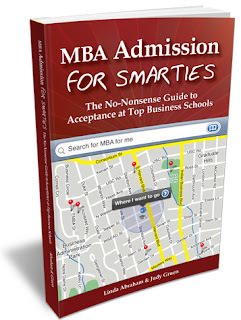 Many MBA related books had fairly boring covers and I wanted this one to be different, clever and contemporary. The inner pages were designed to be clear and straightforward, easy for the reader to follow the points relating to their admission process. I've been a fan of yours for a long time!